“Harry West Abbitt House, 1105 West Nash Street. 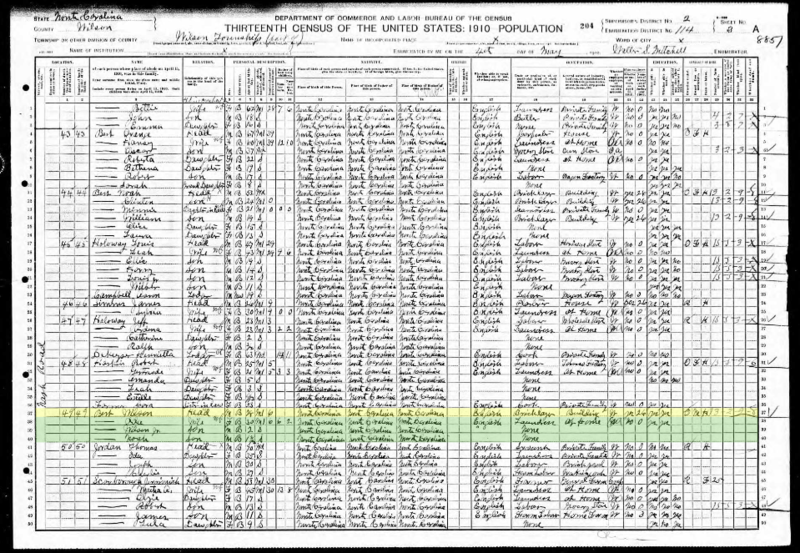 In the 1910 census of Wilson township, Wilson County: on Nash Road, Wilson Best, 28, bricklayer; wife Ada, 30, laundress; and children Wilson Jr., 2, and Noah, 14 months. 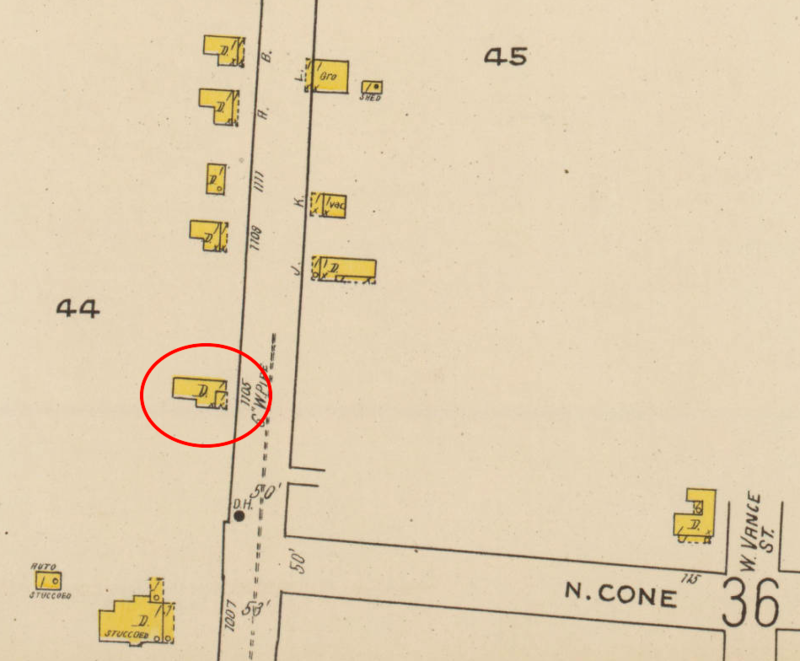 The Bests’ close neighbors included members of their extended family, including Wilson Best’s father Noah Best and uncle Orren Best Their enumeration district, 114, was almost entirely African-American, with houses clustered just outside town limits on or near Nash Road, Raleigh Road, Finch’s Mill Road, Winona Road, and New Creek Road. The Sanborn Fire Insurance Company did not map the Grabneck neighborhood until 1922, when city limits pushed further northwest. Here is 1105 West Nash Street, a small one-story wooden dwelling. Abbitt razed it to build his manse. Sanborn fire insurance map, 1922. 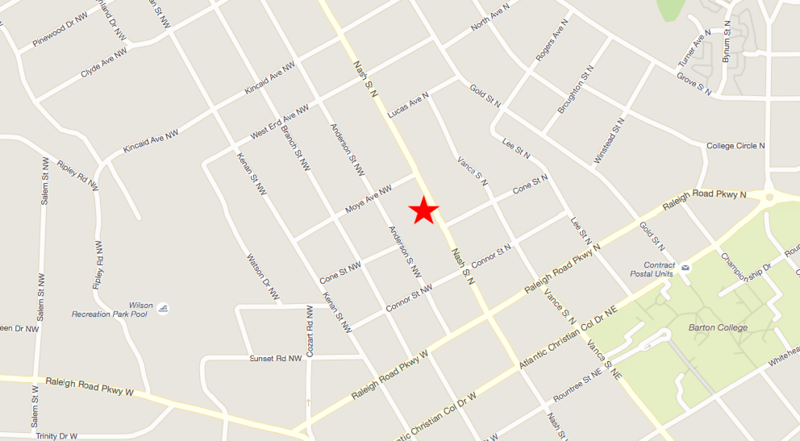 The 1908 and 1912 Hill’s Wilson, N.C., city directory show clusters of Best families at Nash Street near Bynum Street and Best’s Lane near Nash — a dozen in 1912. By 1916, the number had dropped to nine, and by 1920 to eight. 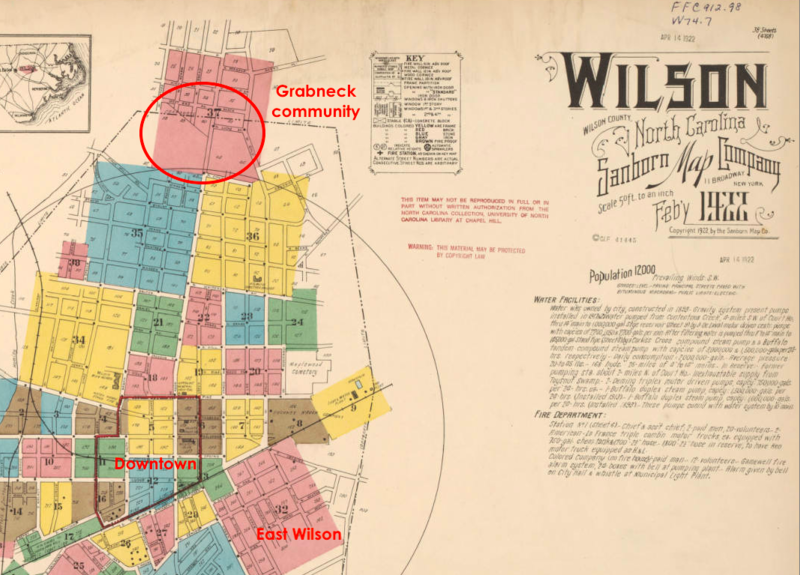 By the 1922 city directory, pressures on Grabneck — now seen as attractive real estate for Wilson’s prospering white middle class — had reduced the number of Bests to two, Wilson and Ada at 1105. Had landowners in the community been pressured to sell or other otherwise pushed out? When the Bests sold out in 1925, the makeover of West Nash Street was essentially complete. By 1930, Grabneck’s former residents had dispersed southwest to New Grabneck, southeast to Daniel Hill, or across town to East Wilson, and evidence of this facet of the African-American history of the city slipped into obscurity. Modern map of Wilson per Bing.com, with Wilson Best’s land marked.